What a cool gear to wear when riding on your bike. 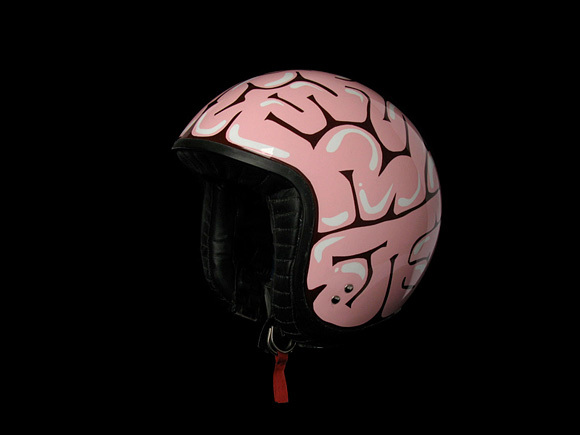 This helmet design is very unique; illustrating human's brain scheme in raw pink colour. 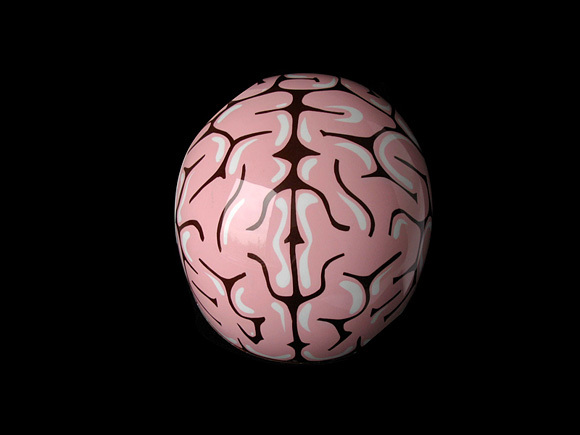 Brain Box by Davida Death Spray.